British Romance Fiction Blog: LORD LOVELY is here! 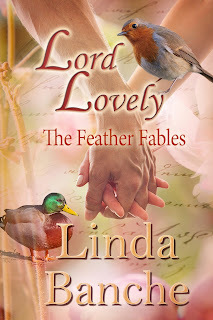 LORD LOVELY, Book 2 of The Feather Fables, is here! Ladies adore him. Gentlemen despise him. But everyone is dying to learn the identity of the anonymous male romance author known as LORD LOVELY. “How lovely” sigh the ladies of Regency London as they read Lord Lovely’s books, thus giving the gentleman his popular (and somewhat annoying) name. Who is this gentleman who writes such splendid stories of love? He has to be young, handsome, witty and able to fulfill any woman’s sexual fantasies. No! Say the gentlemen. Any man who writes about love affairs must be too unattractive to have one of his own. He’s probably old, fat, bald and missing a few teeth. At least they hope he is. Ladies in a tizzy, gentlemen ready to commit murder, London aquiver with controversy. Lord Lovely’s fame and book sales increase by the hour. The gentleman known as Lord Lovely scratches his head. How could his books touch off such a conflagration? Granted, male romance authors are a rare breed, but not entirely unknown. The problem is how to reveal himself. Or should he? He welcomes his books’ earnings, but the disclosure of his identity could destroy his non-book career. The widowed Bel, forced to marry another, hasn’t seen the gentleman in question in ten years. The best of friends in their childhood, they might have become more, but her father forced her to wed another. Perhaps they’ll pick up where they left off. But not if a scheming temptress who has her eye on Lord Lovely has her way. And not if a mysterious, unknown nobleman puts an end to both the author and the man. 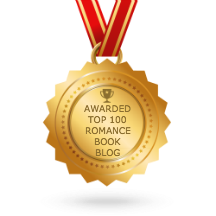 Sweet Regency historical fiction with romantic comedy and mystery. 119,000 words. Wheels scraped on the street, the telltale sound of a carriage slowing and then stopping. Heart pounding, she dashed to the window once more, but the dark shrouded everything except the hackney lamps and the movement of people and horses. Then the doorknocker rapped, and the front door scraped open. Sara’s lilt and her husband’s lower tones drifted up the stairway, along with an unfamiliar baritone rumble. “Your servant, your ladyship.” Mr. Barnett bowed and kissed her hand. “If you will call me Edgar.” He stepped away. And there, framed in the doorway, he stood. Broad of shoulder and narrow of hip, this tall, long-legged man bore scant resemblance to the lanky youth, all elbows and knees, of her memory. The planes of his face had sharpened, a more chiseled, mature version of the good-looking boy’s visage. His blond hair, unstylishly long and tied back with a ribbon, still shone as bright as the sun, although his lashes and eyebrows had darkened to a sootier shade. But his eyes were the same—a deep, liquid blue so intense, his gaze glued her in place. His blue frock coat, frayed at the cuffs, had greyed with age, and his coat, breeches, and buckled shoes were as outmoded as her dress. Not that it signified. He was splendid. SALE ON GOOSED! OR A FOWL CHRISTMAS ON SMASHWORDS! Coupon expires December 14, 2016. 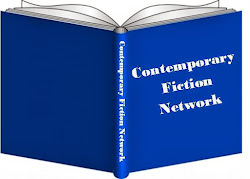 All formats are available on Smashwords.